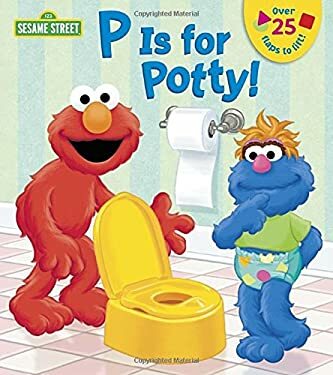 Sesame Street 's Elmo tells little girls and boys ages 1 to 3 all about how to use the potty in this sturdy lift-the-flap board book with more than 30 flaps. It's the perfect mix of fun and learning for potty-training toddlers--especially as they practice sitting on the potty! New (489 available) BRAND NEW. Over 1.5 million happy customers. 100% money-back guarantee. Make your purchase count: support Better World Books' worldwide literacy partners.